Read Aloud: "Where the Red Fern Grows"
SWYK ALERT: There is an End of the Year Puzzling SWYK tomorrow. For more information and help with the lighthouse project visit the new tab here. Reminder: Any late work needs to be completed ASAP! The end of the year is approaching fast and you want to get credit for the work that you have done! We looked at rotations, reflections, and translations. - Reflection = "flip it"
- Translation = "slide it"
- Roation = "turn it"
Reminder: Bring a sack lunch or $2.50 for hot lunch tomorrow at Kinawa! Read the main selection "Artic Journal" by Jennifer Dewey. It was a journal which is a record fo thoughts and events that are important to the writer. We took our Spelling Preview today. We took our Unit 8 SWYK today. We will take the Weekly SWYK on Monday. We took our spelling SWYK today. New list on Monday. Even though we had to use our rain plan B, we still had an amazing day today! We will take the Weekly test on Monday. HW: Study for your 5.4 Vocabulary "Show What YOU Know" on Friday. To review and study these, click on VOCABULARY LISTS. Reminder: Tomorrow is the last day for the book fair! We began reading "Seeker of Knowledge" a biography by James Rumford. A biography is the story of a real person's life as told by another person. HW: Study for your 4.4 Vocabulary "Show What YOU Know" on Friday (3/28). To review and study these, click on VOCABULARY LISTS. We worked really hard today! We got through two Puzzling lessons! Reminder: PJ Slumber Party Tomorrow: Wear your PJs and bring a stuffed animal, pillow, or blanket while we eat ice-cream and popcorn and watch Frozen! TO DO: READ - READ - READ! You should be reading at least 30 min a night to help our class reach our goal of 27,500 minutes! We introduced the question of the week "Why are secret codes important?" 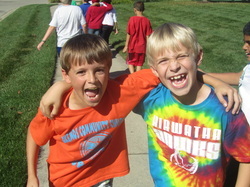 We discussed reasons such as using them in war, online passwords, or to have fun with a friend. We also looked at our comprehension strategy for the week which is generalizing. Watch out for those key words like first, then, next or words like while, meanwhile. HW: Study for your 4.4 Vocabulary "Show What YOU Know" on Friday (3/28. To review and study these, click on VOCABULARY LISTS. We reviewed basic fraction concepts as well as how to find the fraction of a whole. HW: Study for your 4.3 Vocabulary "Show What YOU Know" on Friday (3/21). To review and study these, click on VOCABULARY LISTS. We went over our Unit 6 practice SWYK. Remember, if you don't understand part of a lesson, you can always refer back to our class website!! Just click here to get started! SWYK ALERT: There will be a Puzzling Show What YOU Know on Thursday, March 20th. 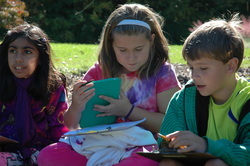 It will be a cumulative assessment of the concepts and skills taught in Units 1, 2, 3, 4, 5, and 6. We took our Unit 4 Week 2 Reading Street SWYK. We took our spelling preview for this week. We took our practice SWYK. If you didn't finish, complete it as homework. Remember, if you don't understand part of a lesson, you can always refer back to our class website!! Just click here to get started! HW: Last week, students were assigned an inspirational person. We did a little research on them in class today and learned more about them. They need to continue their research at home. They were also instructed to (with parent or adult supervision) find a short video about their person and watch it. The goal of this assignment is to have students think more deeply about their own actions and how they can be a strong force for positive change in this world. We postponed this week's Reading Street SWYK to Monday. Today we finished reading "Encantado" an expository text about the pink dolphin. HW: Study for your 4.2 Vocabulary "Show What YOU Know" on Friday (3/14). To review and study these, click on VOCABULARY LISTS. We introduced 6.9 today which was all about our global coordinate plane also known as latitude and longitude. Latitude lines are circles above and below the equator. Because these circles are parallel to the equator, they are often called parallels. Longitude lines are semicircles that connect at the poles. The semicircles of longitude are not parallel, since they meet at the poles. Remember, if you don't understand part of a lesson, you can always refer back to our class website!! Just click here to get started! We continue to read our read aloud "Charlotte's Web." We introduced 6.8 today which was all about coordinate planes and ordered pairs. Remember, if you don't understand part of a lesson, you can always refer back to our class website!! Just click here to get started! The videos for this section are really helpful - especially if you watch them more than once and follow along. We had a wonderful panel discussion with Mr. Kinzer and Mr. Vandercook who were gracious enough with their time to answer many of our Hiawatha Historian questions. We started reading "Encantado" today. We closely looked at the way this expository text is set up and how it was similar and different to other texts we have looked at. We noticed that this text has real photos (compared to the cartoons that some of our stories have had) which helps explain the text in a meaningful way. We also noticed how the text is split into sections and each section is labeled with a heading. This is helpful because it tells the reader what they are going to read about. We introduced a few of our vocab words for this week. 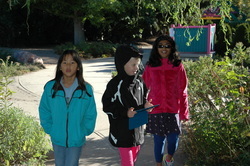 We looked at aquarium, dolphin, pulses, and glimpses. To find the definitions, we had a dictionary race and then discussed what the definition of each word meant and how we might use them in the context of a conversation. We discussed some of the "hot topic" current events that are out happening in our communities and we connected them to what we are learning about in Community Explorers. HW: Prepare any extra questions you have for the 3 Hiawatha principals. We introduced our question of the week "Why do animals behave the way they do?" This week we will be reading "Encantado" an exposotory text about the pink dolphin of the Amazon. HW: Finish your Pen Pal letter to your kindergartner. We took our 4.2 Spelling pre-view today. This week we are looking at syllable patterns (words that end in le, al, en, er, and ar). We introduced our unit question: "Is there an explanation for everything?" This BIG question will help us to give meaning and understanding to the texts that we read this month. To start, we will be reading "The Case of the Gasping Garbage" by Michele Torrey. We took our 4.1 Spelling pre-view today. This week we are looking at contractions. HW: Study for your 4.1 Vocabulary "Show What YOU Know" on Friday (3/7). To review and study these, click on VOCABULARY LISTS. We introduced 6.6 today which was all about angles. How do we measure angles and how to we draw angles? Can you find different angles in your house? Remember, if you don't understand part of a lesson, you can always refer back to our class website!! Just click here to get started! The videos for this section are really helpful - especially if you watch them more than once and follow along. HW: Math boxes for Unit 5 were due last week. If they are not done you may be spending some recess time finishing them. TO DO: READ - READ - READ! You should be reading at least 30 min a night to help our class reach our goal of 27,000 minutes! We took our weekly Reading Street SWYK. Continue to wok on imporving each week. We took our spelling SWYK. New list on Monday. We introduced 6.5 today. It introduces how to use a full circle protractor to measure angles. It helps us to think of it as a large clock. We finished reading "Paul Bunyan" by Mary Pope Osborne. We really enjoyed this humorous tall tale! While reading we really focused on generalizing and looking for the broad statements based on evidence from the text. We learned some more vocab words today and then used them to write a text message. We also looked at related words and talked about base words and how to identify other related words. HW: Study for your 3.5 Vocabulary "Show What YOU Know" on Friday (2/28). To review and study these, click on VOCABULARY LISTS. We introduced 6.4 today. It looks at how to deal with remainders in a division word problem. Sometimes leaving the remainder is fine, but other times it doesn't make sense as an answer to the question. So... we need to figure out what to do with it. We can leave it, we can round it up or down (depending on the question), or we can change it to a decimal or fraction! Remember: Library tomorrow. Bring your books back. Remember: Used book sale tomorrow. Bring $0.25 with you to school. We introduced our question of the week: "What causes changes in nature?" We also looked at our skill for this week of generalizing. A generalization is a broad statement based on several examples. We looked at clue words like most, all, always, never, which help us to identify a generalization. We took our 3.5 Spelling pre-view today. Possessive words are very confusing so many students are on the spelling list this week. This isn't something to feel bad about - just study hard and you will ace them on Friday! We introduced 6.3 today which was using the division partial products method. This is a very different way of doing division (new for Mr. C too) but it can be a really useful and helpful strategy especially for long division. So, try your best and keep a positive attitude. Remember, if you don't understand part of a lesson, you can always refer back to our class website!! Just click here to get started! The videos for this section are really helpful - especially if you watch them more than once and follow along. We finished reading "Eye of the Storm" by Stephen Kramer. WE also took our weekly Reading Street SWYK on the COWs. We took our 3.4 Spelling SWYK today. New list for 3.5 will come home on Monday. We introduced 6.2 today which was again about division story problems. Today we looked at using multiples to help us as a strategy for solving these types of puzzles. Remember multiples of a number are the product of that number and any other whole number. For example, the first few multiples of 7 are 7, 14, 21, 28, 35... We can also think of these as so many 7s. For example 28 is 4[7s]. 35 is just one more 7 so we would call that 5[7s]. Remember, if you don't understand part of a lesson, you can always refer back to our class website!! Just click here to get started! We started to read the expository text "Eye of the Storm" by Stephen Kramer. This week we are looking for cause and effect relationships. Remember - a cause is WHY something happened and an effect is WHAT happened. For example, "the woman dropped her groceries because the dog jumped on her." The woman dropping her groceries is what happened - it is the effect. This was caused by the dog jumping on her - this is why she dropped her groceries - it is the cause. Today we introduced two of our vocab words. WE will introduce the rest tomorrow. Remember, this is a 2 week unit so the spelling SWYK will be on Friday, February 21st. HW: Study for your 3.4 Vocabulary "Show What YOU Know" on Friday (2/21). To review and study these, click on VOCABULARY LISTS. We introduced 6.1 today which was all about division story problems. A few helpful hints on the homework: a number model with the unknown shows the problem and the variable. So for example, 6 * 4 = t The t is the variable or the unknown. The answer to this problem is 24 so then the summary number model is 6 * 4 = 24. Remember, if you don't understand part of a lesson, you can always refer back to our class website!! Just click here to get started! We visited the library today and got some great reads! Remember, your Title Talk is coming up so you need to make sure you finish your chapter book and have time to complete your project. Don't wait till the last minute. We got back our Unit 5 SWYK today. The class average was a 78% which is still lower than our class average goal of 85%. Let's keep working to improve. HW: Math boxes were due last week. If they are not done you may be spending some recess time finishing them. We reviewed that a human characteristic is a geographical feature that is man made. 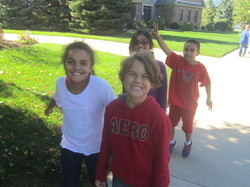 Then, we went on a USA scavenger hunt across the nation to find some significant human characteristics. We looked for Disney World, the Golden Gate Bridge, The Statue of Liberty, and many more! We ran out of time today for our spelling preview. Hopefully we will get to it tomorrow. This is a 2 week unit so the spelling SWYK will be on Friday, February 21st. We took our Unit 5 SWYK today. We will begin Unit 6 next week. 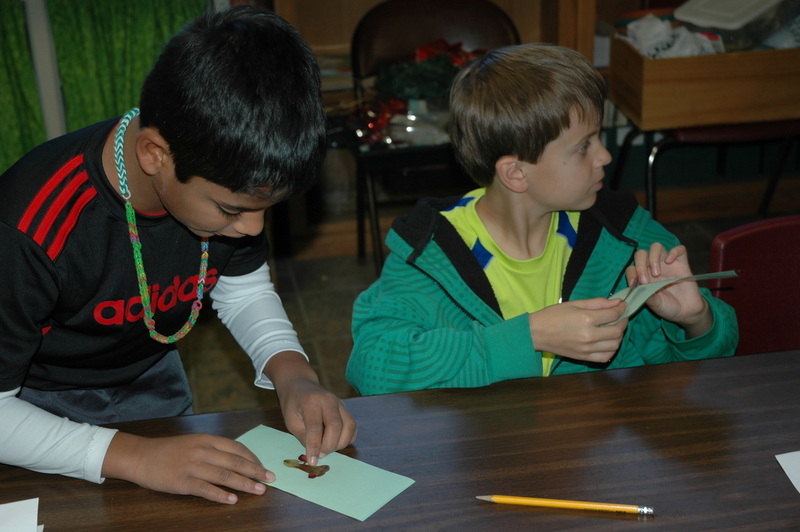 We are learning all about physical characteristics (the geographical features of our world that are not man-made). Today, we started a US scavenger hunt and searched for the location of some well known psychical characteristics of the US - like the Rocky Mountains, or the Mississippi River. HW: Today, students were assigned an inspirational person. We did a little research on them in class today and learned more about them. Tonight, they need to continue their research at home. They were also instructed to (with parent or adult supervision) find a short video about their person and watch it. The goal of this assignment is to have students think more deeply about their own actions and how they can be a strong force for positive change in this world. Friday, January 31th - HAPPY BIRTHDAY MR. SHUBEL! We took our Reading Street Weekly SWYK today. We looked at comparing BIG numbers. Can you tell which of these numbers is the biggest - what about which is the smallest? 24,542 or 24,352? Remember, if you don't understand part of a lesson, you can always refer back to our class website!! Just click here to get started! Today we introduced a finished introducing our vocab words. We looked at the words, their definitions, and then we used them to make a comic all about that word. This was really fun and there were a lot of creative comics and talented cartoonists! HW: Study for your 3.2 Vocabulary "Show What YOU Know" on Friday (1/31). To review and study these, click on VOCABULARY LISTS. Today we looked at rounding large numbers. Remember... "When rounding, go next door and say... 4 or less, let it rest. 5 or more, raise the score!" Remember, if you don't understand part of a lesson, you can always refer back to our class website!! Just click here to get started! Today we introduced a few of our new vocab words. We looked at the words, their definitions, and then we used them to make a comic all about that word. This was really fun and there were a lot of creative comics and talented cartoonists! Today we learned all about the powers of 10! Numbers like 100 or 1,000 or 100,000 are called powers of 10. They are numbers that can be expressed as products whose factors are 10. For example, 100 = 10 x 10 or 10,000 = 10 x 10 x 10 x 10 Remember, if you don't understand part of a lesson, you can always refer back to our class website!! Just click here to get started! 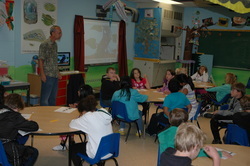 Today we introduced our question of the week:"What patterns in nature guide the lives of animals?" We looked at how animals migrate at the same time each year. We also looked at our Reading skill for this week which is again "Fact and Opinion." Remember, a fact is a statement that can be proven true or false by reading, observing, or asking an expert. An opinion is a belief that cannot be proven true or false but can be supported with facts. We read a short essay about whales and looked for 2 facts and 2 opinions with a partner. Today we learned all about BIG numbers! We learned just how much a billion is! Did you know there are 300 billion stars in our galaxy. Or that a billion seconds is 31 years 8 months and 12 days! Then we learned just how big a trillion is! Did you know that 1 trillion $1.00 bills stacked on top of each other would reach 60,000 miles into space! We continued our conversation talking about a google, a googleplex, and finally... the biggest mathematically useful and proven number in the world... graham's number! Want to know more about BIG numbers... RESEARCH and find out! Remember, if you don't understand part of a lesson, you can always refer back to our class website!! Just click here to get started! HW: Study for your pop quiz on continents and oceans. Reviewed how to solve multiplication problems using the lattice method. This method is great for staying organized, especially when multiplying large numbers. It does take a bit of time to set up a lattice and then solve, but can really help you to be accurate. Give it a try! Remember, if you don't understand part of a lesson, you can always refer back to our class website!! Just click here to get started! Today we cut our orange globes in half separating the hemispheres. We used these to observe which continents were in which hemisphere. Continue to study those continents and oceans and be ready for the pop quiz... whenever that may be! HW:Study for your pop quiz on continents and oceans. HW: Watch "5.7 - Lattice Method" video. Today we made our own globes using Mr. Clements clementines. We looked at how the equator divides the Earth into the Northern and Southern hemispheres, and how the Prime Meridian divides the Earth into the Eastern and Western hemisphere. Today we took our mid-year assessment to help us see where we are in our learning and how much we remember from the beginning of the year. Today we took our Reading Street weekly SWYK. Overall most of us did very well. Keep studying your vocab words and working on the skill and strategy for each week and keep improving! We took our spelling SWYK today. Next week's spelling pre-view will be on Monday. Today we looked at how to use the partial product method for a 2 digit by a 2 digit. Remember, if you don't understand part of a lesson, you can always refer back to our class website!! Just click here to get started! To Do: Monday is MLK Day. In celebration, go out and make a positive difference in someone's life! Today we started reading our main selection for the week; "The Man Who Named the Clouds" by Julie Hannah and Joan Holub. We looked at how it used graphic sources to help us understand information in a more visual way. For example, pictures, maps, and charts show information in a way the reader can see. HW: Study for your 3.1 Vocabulary "Show What YOU Know" on Friday (1/17). To review and study these, click on VOCABULARY LISTS. We looked at how to use the partial product method to solve problems. This is a very different way of solving multiplication problems than how your mom, dad, grandma, grandpa, aunt, uncle, or anyone in your family who went to school a long time ago solved multiplication puzzles. Remember, if you don't understand part of a lesson, you can always refer back to our class website!! Just click here to get started! Today we introduced our question of the unit and week! We talked about some different patterns in nature are and the value of looking at those patterns. Then we looked at our skill and strategy for this week. Using graphic sources helps us to understand information in a more visual way. For example, pictures, maps, and charts show information in a way the reader can see. We also looked at important ideas which are essential ideas in a nonfiction slelection. We looked at how to estimate products. It is important when estimating to be able to do it quickly and accurately. So we want to round numbers so that the original fact is one that we know how to solve easily. Remember, if you don't understand part of a lesson, you can always refer back to our class website!! Just click here to get started! We introduced the other 4 vocab words for this week and looked up the words and their definitions during "Dictionary Racing." Students raced to see who could be the first to find the word! Then we completed "Wordsmith Write It" and used the words in sentences. Today we went over our homework and reviewed troubling concepts from the first three lessons. Remember, if you don't understand part of a lesson, you can always refer back to our class website!! Just click here to get started! We took the M-CAP assessment test today which assesses concepts and applications. We introduced 4 of our vocab words for this week and looked up the words and their defintions during "Dictionary Racing." Students raced to see who could be the first to find the word! Then we comepleted "Wordsmith Write It" and used the words in sentneces. We got to see Mr. C. ride an ostrich. Well it was on video - but it still made for a funny moment. He got to ride one when he was in South Africa. It went along with Mr. C's ostrich adventure story problem - which helped us introduce the idea of estimating to solve puzzles. We took the M-COMP assessment test which assesses mathematical computation. We will finish tomorrow with the M-CAP which assesses mathematical concepts and applications. We took our Unit 3 Week 1 preview today. New lists also went home. We introduced "Spelling Scramblers," a new homework assignment that will help us study our spelling words. We were busy with puzzles today! We covered 5.1 AND 5.2 today. Today we learned about original facts, or the basic arithmetic fact that we begin with (3x3=9) and extended facts, or the variations of basic arithmetic facts involving multiples of 10,100 and so on (3x30=90). then we learned how to play Multiplication Wrestling! Are you ready to rumble? We took the Unit 2 Week 5 SWYK on the COWS today. Title Talks were introduced today. 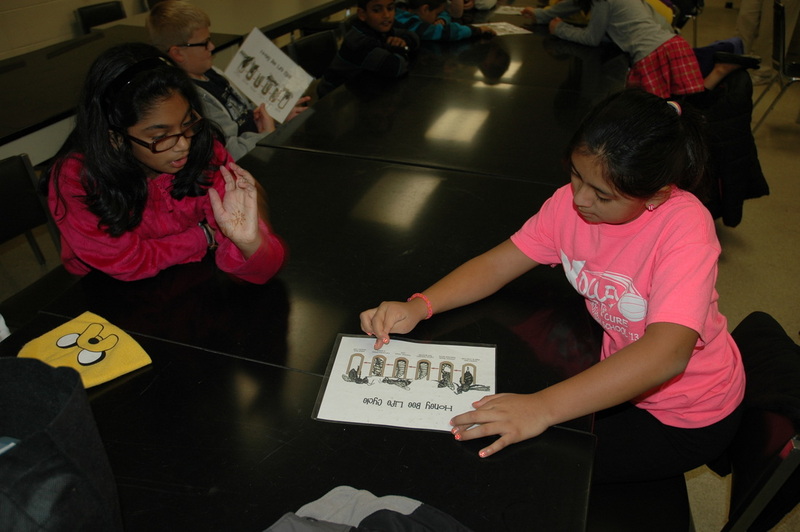 Title Talks are monthly projects that students will do about a book they have read that month. These are required, and a big part of the reading grade. This month's Title Talk is "Sell the Story." - Sell the Story is an opportunity to create a commercial that will persuade others to want to read your book. - Create a 1 – 2 minute commercial that tells the title, author’s name, and gives a brief summary of your book. - This project can be done in two ways. You may create a video commercial, or present it live using PowerPoint/ google Presentation, or hand drawn and colored story boards. - There are lots of free and easy ways to make a video commercial! Most digital cameras have a video function that you can use to record your commercial. To edit it, Mac users can use iMovie and PC users can try Windows Movie Maker. Or you can try a free video editing program like www.wevideo.com. - You could also use a free screen capture program like www.techsmith.com/jing or www.techsmith.com/snagit to record your PowerPoint or google Presentation on your computer. We took our Unit 2 Week 5 Spelling SWYK today. We will take the Unit 3 Week 1 preview tomorrow. HW: Study for your Vocabulary "Show What YOU Know" on Friday (12/20). To review and study these, click on VOCABULARY LISTS. Today we took the Unit 4 SWYK. Today we reviewed the Unit 4 practice SWYK and prepared for tomorrow. Students should be going through their study links to practice and using our class website to study! Just click here to get started! SWYK ALERT: There will be an opportunity to show what you know TOMORROW Wednesday, December 18th. It will be an assessment of the concepts and skills taught mostly in Unit 4, but will also assess retention of concepts and skills from Units 1, 2, and 3. To Do: Mr. C has bags of books that need to be labeled and organized into the classroom library. The task involves labeling each book with the author's last name, putting a letter tag on it, and then covering the binding in packaging tape to secure it and reinforce the book. If you are able and willing, it would be greatly appreciated! Just go click here to sign up! We read "So You Want to be President?" by Judith St. George and illustrated by David Small. This was an expository text which gives information about real people and events. However, the illustrations are very silly and the text is written in a fun, friendly style. We wrote and discussed about how the silly illustrations support the humorous tone of the writing. The author wanted to give the reader facts and details about Presidents in a memorable, entertainig way. Today we took the Unit 4 practice SWYK to see what we know and what we still need to review and practice before the real SWYK on Wednesday. Students should be going through their study links to practice and using our class website to study! Just click here to get started! SWYK ALERT: There will be an opportunity to show what you know on Wednesday, December 18th. It will be an assessment of the concepts and skills taught mostly in Unit 4, but will also assess retention of concepts and skills from Units 1, 2, and 3. A "Test Alert" came home for "How the Earth's Surface Changes." The test will be TOMORROW Tuesday the 17th. We looked at the skill and strategy for this week which is Main Idea and Details. We looked at where in a text we can find the main idea and where we can find the details. Generally, the main idea of a paragraph is the first sentence. It is followed by supporting details. Today we looked at measuring in millimeters. We looked at different things that measure about 1 millimeter. For example, the thickness of the wire in a paper clip, the width of a pencil point, the edge of a dime. Every 10 mm make up 1 cm. For example, 4 cm = 40 mm and 130 mm = 13 cm. Remember, if you don't understand part of a lesson, you can always refer back to our class website!! Just click here to get started! The test will be next Tuesday the 17th. Today we looked at personal measurement references. Sometimes it is hard to remember how long a centimeter is, or how long a meter is. Relating measurements to common objects makes it easier to remember their relative sizes. Also,sometimes we need to measure something but don't have a tool. Personal measurement references can be used to estimate the unknown measurement. Remember, if you don't understand part of a lesson, you can always refer back to our class website!! Just click here to get started! A "Test Alert" came home for "How the Earth's Surface Changes." The test will be next Tuesday the 17th. Today we looked at metric units of measurement. We are familiar with our U.S. customary units like inches, feet, pounds, miles, etc. However, most of the rest of the world doesn't use these measurements - they use the metric system. This includes centimeters, millimeters, meters, etc. Like our base ten blocks each is 10 times as big as the next. For example, there are 10 millimeters in a centimeter, there are 10 centimeters in a decimeter, and there are 10 decimeters in a meter. Can you think about how many centimeters there are in 1 meter? If you said 100... you are right! Do you know how many millimeters there are in 1 meter? If you said 1,000... you are right! Remember, if you don't understand part of a lesson, you can always refer back to our class website!! Just click here to get started! A "Test Alert" came home today for "How the Earth's Surface Changes." The test will be next Tuesday the 17th. Today we introduced our 7 new vocabulary words. Students recalled background knowledge about different words and applied the definitions of those words by answering discussion questions with a partner. Today we introduced the thousandths place. 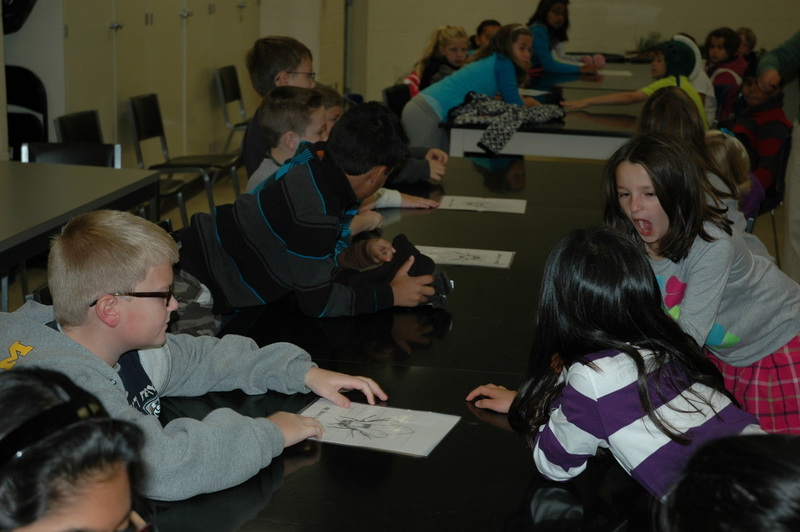 Many students were able to have light bulb moments of understanding. Remember, if you don't understand part of a lesson, you can always refer back to our class website!! Just click here to get started! We introduced this weeks BIG question: "What is the job of the President of the United States?" We brainstormed what a President needs to be successful and came up with, discussion skills, teamwork, and a team (he/she can't do it alone). We also wrote down our ideas to the question "Would you want to be President of the U.S.? Why or why not?" We wrote a "formal paragraph" in an informal way (on our whiteboards!). Remember, strong responses are specific, and use transition words like first, then, also, in conclusion, etc. We took our Spelling Preview today. Be ready for the SWYK on next Friday (12/20). Today we worked in partner pairs to figure out how to add and subtract decimals when they have to do with money! This lesson is a continuation of 2.5 and puts adding and subtracting decimals in a realistic scenario. Remember, if you don't understand part of a lesson, you can always refer back to our class website!! Just click here to get started! We took our Reading Street Weekly SWYK on the COWs. Today we looked at how to add and subtract decimals. SING ALONG: "Line up the decimals when you are adding or subtracting! Line up the decimals when you are adding or subtracting! You will discover, when one is underneath the other - the answer you get should be correct, so line up the decimals when you add or subtract. Add extra zeros when needing extra places. Add extra zeros when needing extra places. When they're in order - you can be bolder - that the answer you get should be correct, so add extra zeros when you add or subtract. When you are calculating, make sure you're right. If no mistakes you are making - you are very bright! Line up the decimals when you add or subtract!" (Can you spot the mistake in the Sing-Along video?) Remember, if you don't understand part of a lesson, you can always refer back to our class website! Just click here to get started! We reviewed compound words. A compound word is a word that is made up of two words. For example if I take the word "rattle" and add the word "snake" I can make the word "rattlesnake." A rattlesnake is a large snake found in north and South America with segments on its tail that rattle when vibrated. BUT a word like television is not a compound word because 'tele' is not a word on its own. Remember, a compound word is made up of two separate words. We took our Spelling Preview last Monday. Be ready for the SWYK on Friday. HW: Study for your Vocabulary "Show What YOU Know" on Friday (12/6). To review and study these, click on VOCABULARY LISTS. Today we looked at rounding decimals! To round a number just go next door - If it is 4 or less, let it rest. If it is 5 or more, raise the score! This is a handy way to remember how to round a number. Remember, if you don't understand part of a lesson, you can always refer back to our class website! Just click here to get started! Today we read "Horse Heroes" by Kate Petty. It was an expository text which tells about real people, things, or events. Often times they are organized using titles, headings, subheadings, charts, graphs, tables, or photos with captions. Remember... it is important to read all of these so you get a full picture of what the text is trying to say. Today while we read, we kept a look out for facts and opinions. Now that we know how to read decimals and what they look like in base-10 blocks, we tried to think about how we would order them from least to greatest. In order to do this we need to think of the decimal as a fraction. For example, 0.07 is 7 hundredths or 7 cubes out of the 100 cubes it takes to make a flat (which is our whole or ONE). So, 0.07 = 7/100 and this is much smaller than 0.7 which is 7 tenths or 7 longs or 70 cubes or 70/100. Remember, if you don't understand part of a lesson, you can always refer back to our class website! Just click here to get started! We discussed our comprehension skill for the week; Fact and Opinion. A fact is a statement that can be proven true or false. We can figure out if something is true or flse by asking an expert, or using our own knowledge and experiences. An opinion cannot be proved true or false. We can look for clue words of judgment or belief to figure out if it is an opinion. We continued learning about decimals today. Today we looked at what 0.01 actually means by using base 10 blocks to think about a whole and parts of a whole in a new way. Remember, if you don't understand part of a lesson, you can always refer back to our class website! Just click here to get started! Today, we also had a very important conversation about kindness in and out of Room 430. It is important that we always take time to reflect on our actions and the impact they have on others. It is easy to walk by and do nothing - it takes effort, a strong heart, and sometimes even bravery to do the right thing. How can you start a circle of kindness? We introduced this weeks BIG question: "How do animals and people work together?" We turned and talked and came up with some great ideas about guide dogs working with people with disabilities, search and rescue dogs working with first responders, horses and cowboys. We also wrote down our answers in a "formal paragraph" in an informal way (on our whiteboards!). Remember, strong responses are specific, and use transition words like first, then, also, in conclusion, etc. We started our unit 4 today! Decimals can be very complex and confusing, so if you need to spend some extra time getting the hang of things, make sure you take the time to do that. You can always ask a family member, a friend, or a teacher for help! Remember, "practice makes... you better." Unit 4 Puzzling is ready to go. With Thanksgiving break, Mr. C was able to get ahead and post early this time. Now you can visit the Unit 4 page to help review a lesson, use it to help with the homework, or look a head and prepare yourself for what is coming next! Just click here to get started! My apologies on not updating our Daily Planner in awhile. The end of November got very busy. We have been doing our daily planners everyday at the end of our day, so Hawks... you should have records of what we did and what the homework was in your planner. That being said, I do plan on continuing to update our daily planner. We introduced our vocab words for Unit 2 Week 3! Each table was responcible for one of the words and then we did a few different activities on our whiteboards! #1 – Look up the word in the dictionary. Write it! #2 - Draw a picture that represents the vocab word. #3 – Write a sentence using the vocab word. #4 – Write 4 synonyms for the word. #5 – Write the definition in your own words. #6 – Find any affixes in the word. Write the word and circle the base word. HW: Study for your Vocabulary "Show What YOU Know" on Friday (11/22). To review and study these, click on VOCABULARY LISTS. Read our story for this week. HW: Study for your Vocabulary "Show What YOU Know" on Friday. To review and study these, click on VOCABULARY LISTS. We had a great time at the MSU Children's garden today. We took our Spelling SWYK. We took our first 50 Facts SWYK to see how many multiplication puzzles we could solve in 3 minutes! Then we graphed our data so that we can see growth during the month as we do more of them. We looked over our river table and continued our discussion of erosion. Continued to discuss and write rough drafts for our new school newspaper. OPTIONAL: We had the Brainstormers assembly on Monday (9/30), and they challenged the students of Hiawatha to write the best and most creative story they could "cook" up. November 22nd is the deadline for all stories. For more information about how your story may be chosen to be preformed at our next Brainstormers assembly, check this out. Also you will need this cover sheet when you submit your story. Finished our explorers paper doll worksheet and discussed what a Geographer needs to be successful and the types of questions they ask. No "How Stuff Works" on Mondays. No "How Stuff Works" on Fridays. We were introduced to our 5 new vocabulary words. To review and study these, click on VOCABULARY LISTS. We took our Puzzling Unit 2 "Show What YOU Know" today. We got the opportunity to show how much we knew about reading and writing numbers, identifying place value, using number expressions to write equivalent names for whole numbers, solving problems involving addition and subtraction, making estimations, creating tally charts and line plot graphs, identifying landmarks for a given set of data (maximum, minimum, range, median, and mode), and measuring length to the nearest 1/2 centimeter. Unit 3 Family News Letter went home today. It introduces all the topics we will be discussing in Puzzling for the next few weeks. 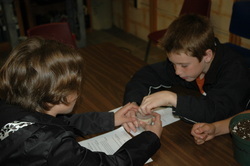 Read articles that discussed erosion and weathering. Started off with our "Daily Fix-It" and introduced our school newspaper project! Continued discussing what our Economist needs to be successful. HW: Remember to look at our Unit 2 review here on our website. It goes through each section and outlines the key ideas and terms that we should understand. It also has games and videos to help re-teach if a concept is still a little fuzzy or you need more help in solving certain puzzles. Click to start reviewing. SWYK Alert! We will be having a "Show What YOU Know" Tuesday (10/29) which will cover all of unit 2. Please review reading and writing numbers, identifying place value, using number expressions to write equivalent names for whole numbers, solving problems involving addition and subtraction, making estimations, creating tally charts and line plot graphs, identifying landmarks for a given set of data (maximum, minimum, range, median, and mode), and measuring length to the nearest 1/2 centimeter. No "How Stuff Works" today. No "Painting with Words" today. We took our Reading Street weekly "Show What YOU Know" on the COWS today. We took our Spelling "Show What YOU Know" today. New word list on Monday. We finished our in class review for our Unit 2 SWYK. To Turn in: Conference sheet Due Monday. We buddy read the story "What Jo Did" by Charles R. Smith Jr. We did a great job of staying on task with our partners and spreading out around the room to read and discuss the book. We looked at a few new Affixes today. The prefix un- means "the opposite of" or "not," as in undefeated. The suffix -able means "able to be," as in unbeatable. The suffix-less means "without," as in scoreless. You can use affixes to help you figure out the meanings of words. We added another strategy to our puzzle solving toolbox today - like yesterday this one also helps us solve subtraction puzzles. It is the partial-difference method for subtraction. this method avoids renaming, which is the major trouble for many studnets when using the standard trade first method, but it requires understanding of negative numbers. We reviewed our comprehension skill for this week of identifying cause and effect relationships. A cause is WHY something happened and an effect is WHAT happened. For example, "the woman dropped her groceries because the dog jumped on her." The woman dropping her groceries is what happened - it is the effect. This was caused by the dog jumping on her - this is why she dropped her groceries - it is the cause. We introduced our comprehension strategy for this week of bringing up background knowledge when we read a text. Good readers use their background knowledge to help them understand what they read. As we read new information, we want to think about whether we have ever seen or experienced what we are reading about. We added a strategy to our puzzle solving toolbox today - this one helps us solve subtraction puzzles. It is the trade-first method for subtraction. First you look at the digits in the 1s place. If subtracting these digits gives a negative number, you have to trade 1 ten for 10 ones. Then you look at the digit in the 10s place. If subtracting these digits gives a negative number, trade 1 hundred for 10 tens. Continue this process until you reach the left side and then subtract in each column. SWYK Alert! We will be having a "Show What YOU Know" next Tuesday which will cover all of unit 2. Please review reading and writing numbers, identifying place value, using number expressions to write equivalent names for whole numbers, solving problems involving addition and subtraction, making estimations, creating tally charts and line plot graphs, identifying landmarks for a given set of data (maximum, minimum, range, median, and mode), and measuring length to the nearest 1/2 centimeter. We looked at our comprehension skill this week of identifying cause and effect relationships. A cause is WHY something happened and an effect is WHAT happened. For example, "the woman dropped her groceries because the dog jumped on her." The woman dropping her groceries is what happened - it is the effect. This was caused by the dog jumping on her - this is why she dropped her groceries - it is the cause. We analyzed - or looked closely at - our vocab words for this week. Each table group was responsible for discussing what one of the words meant and how the picture related. Then they had to present their ideas to the rest of the class. Today we reviewed the study link from last night and used it to practice how to use a set of data to find mathematical landmarks (maximum, minimum, range, mode, median). We also looked at our Unit 2 review here on our website. It goes through each section and outlines the key ideas and terms that we should understand. It also has games and videos to help re-teach if a concept is still a little fuzzy or you need more help in solving certain puzzles. Click to start reviewing. Talked about the comments and questions that we still have about erosion. Finished post cards and our monster paragraphs. If these arn't done these need to be finished on your time. Tomorrow the rough and final draft need to be done. Today we looked at what an economist needs to be successful. We rolled out Unit 2 of Reading Street today. 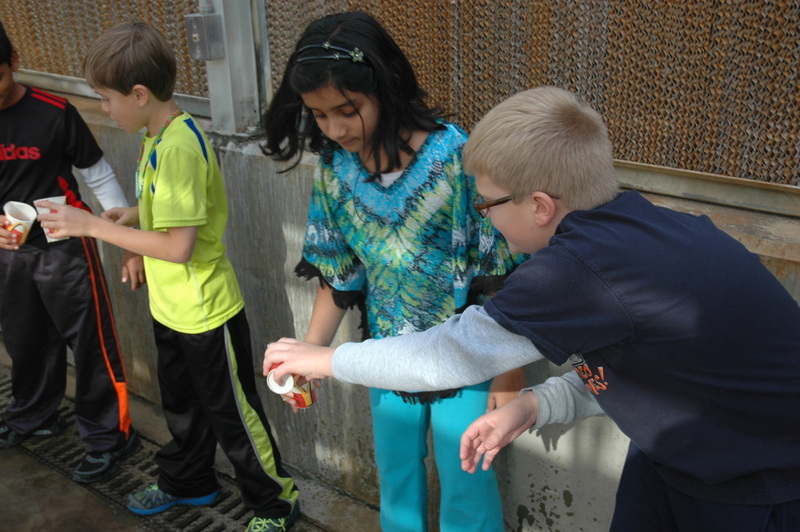 This unit's big question is all about TEAMWORK - "What is the value of teamwork?" We wrote, drew, and discussed our ideas and then compared them to the concept video which talked about working together on a sports team, valuing the talents of others, and that it takes cooperation to accomplish goals (for example planning a party). We will be revisiting these ideas and more throughout the next month or so. Today was also the introduction for our weekly Reading Street question which is: "How can we learn to appreciate the talents of others?" We discussed what it means to value something (believe it is important or has worth) and watched the "Beethoven - Violin Concerto" featuring Vadim Repin and Valery Gergiev with the Kirov Orchestra Saint Petersburg" and tried to identify 5 different talents that we could see and hear. We also began talking about different ways we can learn to appreicate a talent - for example, watching and listening, or playing and working together. We were introduced to our 8 new vocabulary words. To review and study these, click on VOCABULARY LISTS. Today we reviewed landmarks of a set of data (mean, median, mode, range, maximum, minimum) and applied those to creating a visual representation of our class head sizes by using a line plot. No "Painting with Words" on Mondays. We took our Reading Street Weekly SWYK on the COWS today. We took our Spelling "Show what YOU Know" today. New list on Monday. We did not have puzzling today. All 4th grade visited the library today to watch "How the Earth Was Made: Mt. St. Helens" a thrilling video about the eruption of this active olcano located in Skamania County, Washington. Feel Free to re-watch it online at www.youtube.com while the video remains active. No "Painting with Words" on Fridays. We continued discussing political scientists. The weather was just about perfect for an early ALL-SCHOOL picture. We headed out side and created an 25 to commemorate this being Hiawatha's 25th year! The music was pumping and the bubbles were blowing! 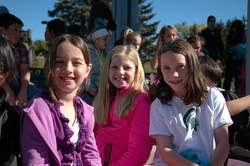 Students had a great time dancing outside in the sun today. This was a reward for all Hiawatha students for raising so much money during the Hawk Walk. Thank you PTO! 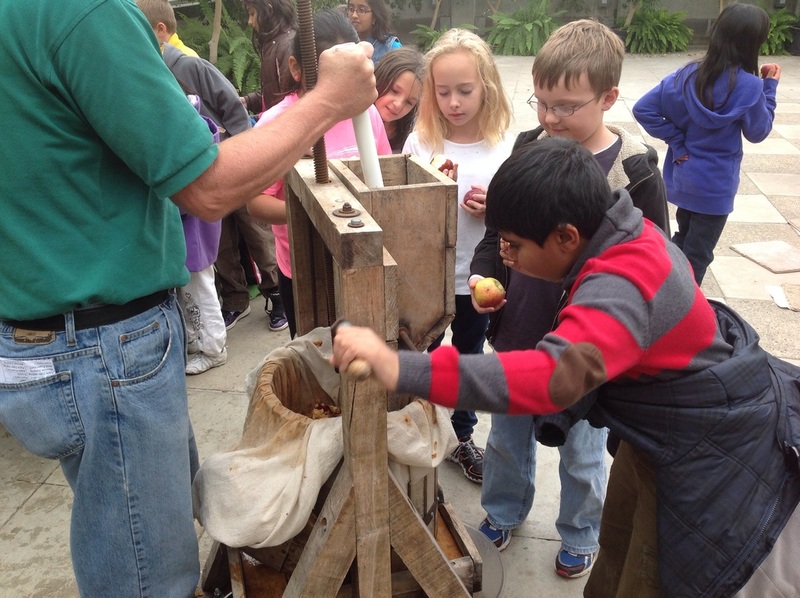 We read this week's story - "Letters Home from Yosemite." As we read, we were looking for words that contained affixes (prefixes and suffixes). Some of us said we found over 40 examples in our story of words that had a prefix, a suffix, or both! Also as we were reading, we had great conversations about main ideas and author's purpose. These are two different things so make sure you understand the difference and which is which. See below for some key ideas. Author's purpose deals with why the AUTHOR was writing their story, journal, or article. There are four main purposes - inform, entertain, persuade, and express. While many times we read things and feel persuaded by them, it is important to clearly identify if the Author's purpose was in fact to persuade us, or if we are just naturally persuaded by what they are writing. For example, if we read a "Diary of a Wimpy Kid" book and read about Greg Heffley skateboarding - we may think that sounds like fun and want to go outside and skateboard. But was the author, Jeff Kinny, actively trying to get his readers to go outside and skateboard? Probably not. He was just trying to entertain his readers with a story about Greg skateboarding. Being able to identify author's purpose will help us to better understand the elements that make up each purpose and we can translate those elements into our own writing. We closely looked at affixes. Recognizing affixes can help us understand the meaning of words we don't know. For example, the suffix -ist means "one who is an expert." So if we came across the word naturalist (and didn't know what it meant) we could make a pretty good educated guess that it means "someone who is an expert in things in their natural state like nature"
We measured the circumference of our heads to the nearest half cm. We will use this data to explore more with mean, median, and mode, and how to display data in different ways. Looked at pictures of erosion and explained how and why it was happening. Worked on monster paragraphs! 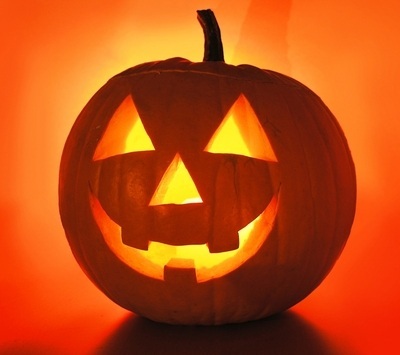 A Halloween writing activity that focuses on writing with detail and complete thoughts. We talked about what a political scientist could use to be successful. From a magnifying glass to "analyze" or look at ideas and information more closely, to a crystal ball to "predict" what will happen next in our government and political system. NOTE TO PARENTS: With so many current events happening in our government right now, it is so important to include your children in these "adult" conversations. I have found them extremely inquisitive and interested in these topics and able to make some amazing connections about what is fair, what is right, and what they think should be happening. 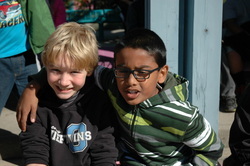 Please remember and know, my role as their social studies teacher is to never tell them WHAT to think about different issues of morality, fariness, government, and political beliefs, but instead, it is to simply provide them with opportunities to explore their own beliefs and challenge them (even if I personally agree or disagree) to think about why they believe that. Because of MEAP scheduling we did not have Scholastic Scholars. Because of MEAP scheduling we did not have Puzzling today. Because of MEAP scheduling we did not have "How Stuff Works" today. Because of MEAP scheduling we did not have "Painting with Words" today. Because of MEAP scheduling we did not have "Explorers" today. We talked about the comprehension skill of identifying the main idea and details in a piece of text that we read. The main idea of a selection is the most important thing the author has to say about the topic. Details are the pieces of information that tell more about the topic. We had a wonderful time at the MSU Children's Garden today. We talked about the parts of a flower, explored the garden and interacted online with scanable QR codes, planted lettuce seeds, learned the shape of science is a spiral, and looked at different types of Michigan trees! We also learned about our WONDER WALL! The Wonder Wall connects our class with one or more MSU moderators (curators, scientists, teachers, guest speakers) in a persistent, playful, colorful, and visual communication space. The original Wonder Wall was an 8 foot by 3 foot large blank paper with colored markers. 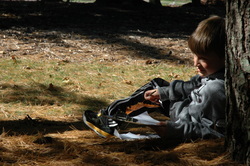 Visitors to the Children's Garden were encouraged to write anything they wondered about throughout the day. The electronic Wonder Wall began with the same premise, evolving through user experience, testing, and designers' recognition of technological advances. Our Wonder Wall is an environment which will help to facilitate a sense of mystery, fun, excitement, and importance along with reflection and practice formulating questions. 1. 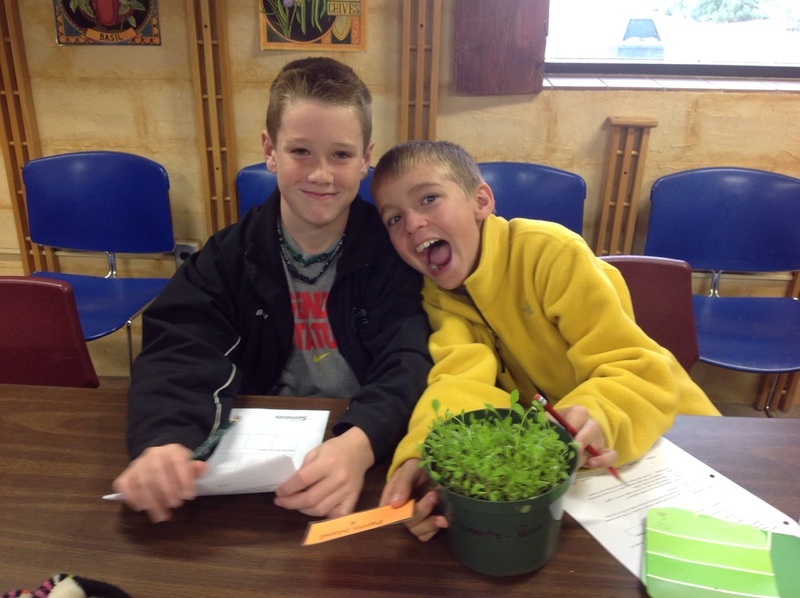 With parent/guardian permission, log onto http://seedsfall13.wonderwall.msu.edu. 3. 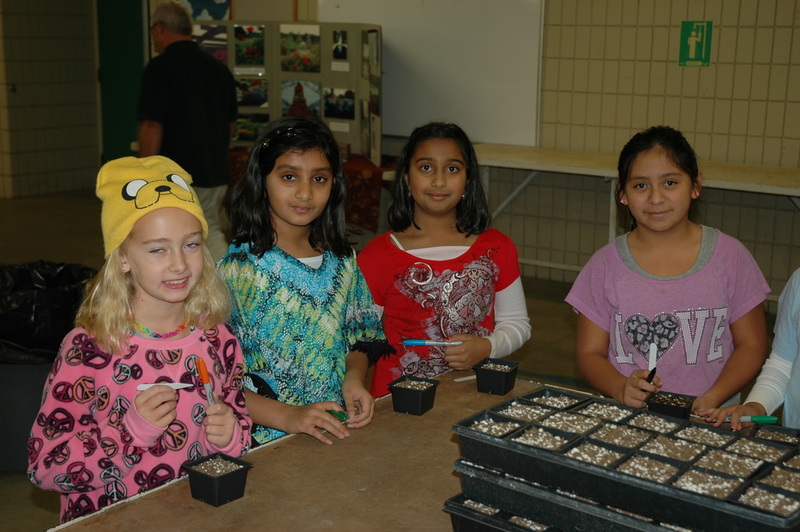 Choose Your Program: From the drop down menu, select "Hiawatha Elementary." 4. Choose Your Group: From the drop down menu, select "Mr. Clements' class." 7. Select YOUR name from the left hand column. 8. Select the Wonder Wall from the right column. - WRITE: Write a text question or message. - DRAW: You may add a drawing to the Wonder Wall. - CHAT: If more than one person is on the Wonder Wall you can chat with them in real time. - Keep our class password PRIVATE - Do not share it with your friends from other classes. - Login ONLY as yourself. Remember, if you are being dishonest... we loose our Wonder Wall. - Be respectful, responsible, and safe. Remember... Dr. Norm and Mr. C receive a copy of everything you post... even if you delete it. - DO NOT post anything you would not show or say directly to your parents, grandparents, teacher, or Mr. Kinzer. - Questions and comments need to be on task and on topic and related to science! With all the testing, reading selected passages, and comprehensions questions we have been answering on the MEAP we took sometime today to just enjoy reading and spent some time reading our choice books. HW: Study for your Vocabulary "Show What YOU Know" on next Friday. To review and study these, click on VOCABULARY LISTS. We discussed and practiced the column-addition method. The column addition method is another strategy for solving addition. In this algorithm, each column of numbers is added separately and then the sum is adjusted by trading part of the sum into the column to the left. Watch this MATH ANTICS video for help. We talked about what a political scientist does and what questions they ask. Remember, for bonus points - you should ask someone at home about the current event known as the government shutdown. 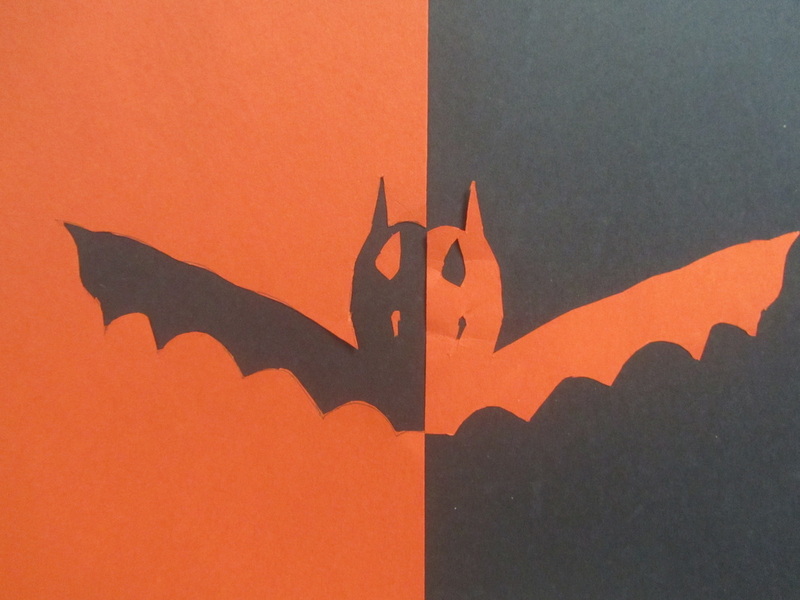 One art project we did to help festive up our 4th grade hallways was using the ideas of positive and negative space to create Halloween images. 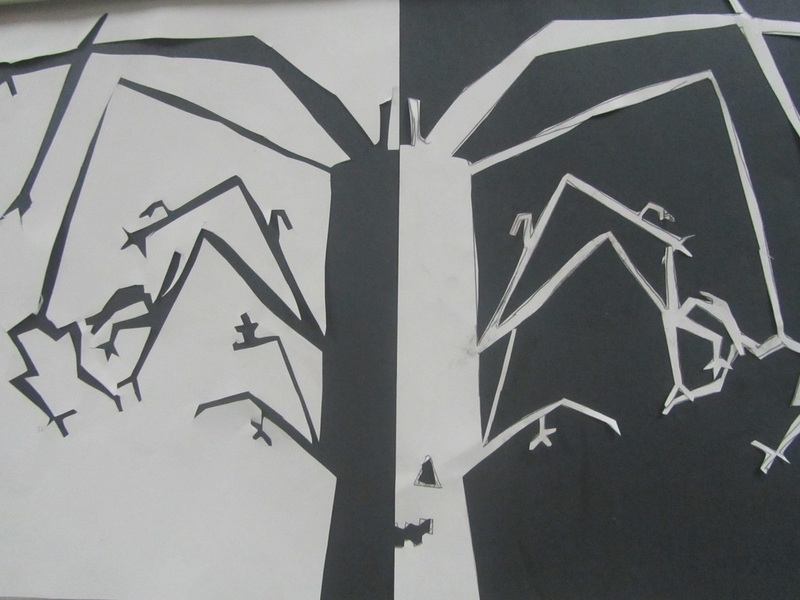 In art, positive and negative space play an important role in determining the overall composition in a work of art. Positive space is best described as the areas in a work of art that are the subjects, or areas of interest. 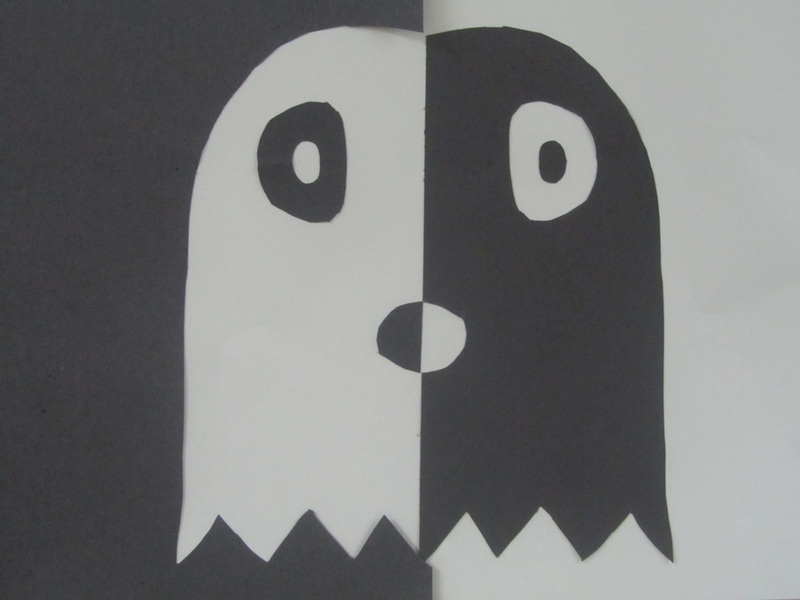 Negative space is area around the subjects, or areas of interest. For example, do you see faces or a vase? We used this concept and gave it a Halloween Twist. Take a look at what Room 430 came up with! 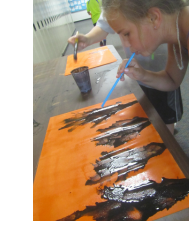 The other Halloween art project we worked on was painting with straws. Students painted a large sheet of paper orange to give it an eerie background . Next, they put a small puddle of black paint mixed with water on their paper. Using straws they blew the paint across their page. 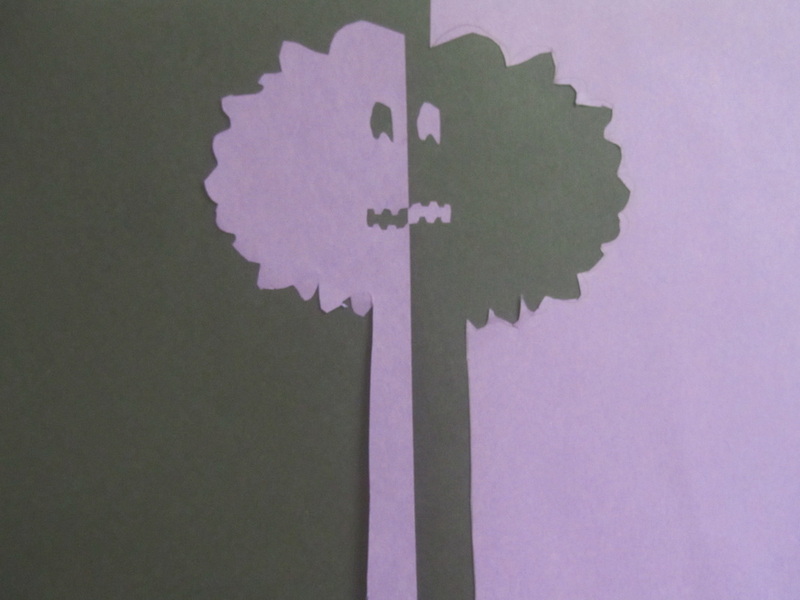 This effect created some spooky looking trees. We will continue to add to and work on these paintings during the next few weeks. Because of MEAP scheduling we did not have "Scholastic Scholars" today. We reviewed the partial sums method for addition. The partial-sums method was introduced in second grade Everyday Math. Addition is performed from left to right and column by column. The sum of each column is recorded on a separate line. No Scholastic Scholars today because of MEAP and Hawk Walk. No Puzzling today because of MEAP and Hawk Walk. We talked about the landforms that can be found in different places on earth. Continued to work on our post cards. What an awesome day we had! Great weather and great cookies! 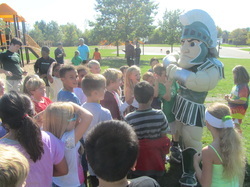 We got to lead the Hawk Walk and then were surprised by Sparty when we got back to Hiawatha! Go GREEN! Because of MEAP we did not have Scholastic Scholars today. We learned about how to make a ballpark estimate and examined the partial sums method. We were introduced to our 7 new vocabulary words. To review and study these, click on VOCABULARY LISTS. We reviewed mean median and mode. Keep working on being able to understand and explain the difference between these mathematical terms. Because of MEAP scheduling we did have "How Stuff Works" today and continued talking about landforms. Because of MEAP scheduling we did have "Painting with Words" today and worked on writing our own post cards. So far they look really cool. To Turn In: Hawk Walk Donations! Fund-raise - Fund-raise! Room 430 wants a pizza party! Today we took our Reading Street Weekly "Show What YOU Know" on the COWs! (Computers On Wheels). I was impressed with how technologically savvy we were and how well we respected instructions and the computers. Nice work! We also took the Reading Street Baseline Assessment. This gives us another piece of the puzzle in all working together to figure out how to best help your Hawk grow this year as a reader. It was pretty long and a bit challenging so BRAVO for a job well done! We reviewed the definitions of maximum, minimum, range, median, mode, and learned more about mean. The mean is an average of the data. You calculate it by adding up all the numbers and then dividing by the total numbers of data collected. For example, if I asked five 4th graders how many hours of TV they watch a night and they said "1, 5, 8, 2, 4." To solve for the mean I would need to add all of those numbers together (1+5+8+2+4 = 20) and then divide by the total number of 4th graders I asked which was 5. So 20 ÷ 5 = 4. That means the average hours of TV that the 4th graders I surveyed watch in a night is 4 hours. Today we checked our comprehension of the story by Jackie Hopkins titled "The Horned Toad Prince." Again, we focused in on sequencing the main events and talked about the story map. (Exposition is another word for the introduction or the beginning part where they introduce the characters and the setting.) We also contintued talking about author's purpose and how to identify when an author's purpose may be to entertain. Lesson 2.6 today focused in on how to organize and plot data. We used the homework from 2.5 to map out how many people were in our family (the people who live in our house and any brothers or sisters who have moved away). We used this data to determine the minimum, maximum, range, median, and mode. Talked about mass landforms and relief globes. HW: Explore your world and always ask "I wonder why..."
Continued using the writing process to improve our writing goals. After exploring our "what we thinks" and reading a challenging non-fiction text that explains what each explorer's job is - we took some time today to really focus in on what a Historian does, and what types of things they would need to be successful for their job. HW: Keep log entries #8 and #9 close by so we can continue them them on Tuesday. HW: September Morning Mind-Stretchers are due tomorrow morning. Today we read a fun story by Jackie Hopkins titled "The Horned Toad Prince." It took place in the south west and we had a great conversation today about accents? Do you think you have an accent? We came to the conclusion that each of us did depending on who we were asking. We read the story "Betcha" where two friends try out their estimating skills and find out that estimating can have real rewards––especially when there’s a contest to enter! We used this to introduce our monthly estimation jar. For October... it is filled with candy corn! Students may enter one "estimation or guess" each month. Just for entering you get a few pieces of the loot, and if you are the one who is the closest to the actual number of candy corn inside the container... you get the whole thing! We read some challenging non-fiction texts about Historians, Geographers, Political Scientists, and Economists and talked about strategies for reading this type of text. Remember to look for bold words, the first sentence (which usually tells you the topic and the main idea for the rest of that section), and the ending (where many non-fiction texts include a summary paragraph that gives you a big picture idea of what the text was all about). HW: Your log book should be filled out and completed up to Log #7. Today we focused in on our word analysis for this week which is all about compound words. A compound word is a word that is made up of two words. For example if I take the word "rattle" and add the word "snake" I can make the word "rattlesnake." A rattlesnake is a large snake found in north and South America with segments on its tail that rattle when vibrated. BUT a word like television is not a compound word because 'tele' is not a word on its own. , Remember, a compound word is made up of two separate words. We ate raisins today! Okay that wasn't all we did. We used those raisins to help us introduce the concept of guessing vs. estimating. Do you remember the difference? Think about which one is a guess that employs a strategy. If you are thinking estimation... great work because you solved that puzzle! Remember when you just guessed how many raisins were in the box? Then you looked and counted the number or raisins that were on top and used that number to think about how many rows of each there might be and what the total would be. That was an estimate - a guess that used a strategy. Talked about different ways erosion can happen. HW: (This should be done => ) Finish "generous" narrative writing story. We started another week of Reading Street today. The question this week is "what can we discover in the landscape of the Southwest?" Our skill and strategy again this week is Author's Purpose. Authors have many purposes for writing stories and other selections. Authors write and use language to inform, entertain, persuade, and express ideas. We had a great conversation about how to decided which of those purposes would be the main purpose for different pieces of writing. We learned all about place value and how to take a number like 450 and change the 5 in the tens place into a 2 without hitting the clear button and re-typing it. Can you remember how to do it? Try showing it to a family member on a calculator you have at home! HW: Finish "generous" narrative writing story. HW: Can I Interview You? A few of us did not finish this... (Students need to choose someone they know to interview and ask them the 8 "what do you think" questions and write their responses on their sheet.) When you finish tape it into your Explorers Log book as Log #7. We took our Reading Street weekly "Show What YOU Know" today. HW: Take a FREE trip to a brand new world... by reading a book! We learned that numbers can have different names. For example the number 12 is equivalent to (6 + 6) or (24 ÷ 2) or (251 - 65 - 82 - 92). We call these equivalent names or the names for the same number. HW: Finish "generous" narrative writing story. Only one 430 student turned it in today... I think many of you had it done, but didn't know to turn it in. In the morning, when a writing assignment is due, please drop it off in Mrs. Casler's "WRITING" turn in box. HW: Be prepared for your Reading Street Weekly "Show What YOU Know." Review Author's purpose, sequencing, and characters, setting, and plot. We looked at place value today and talked about the difference between a counting number and a whole number. Can you explain the difference to someone? Talked about the erosion sheets that we filled out yesterday and shared our answers. We earned +10 marbles for being extremely attentive and focused. We published our "generous" stories. People who still need to edit worked with Mrs. Casler. We shared our "Can I Interview You" answers and finalized our thoughts about what a political scientist, historian, economist, and geographer are, what they do, and what questions they ask. To Turn In: Picture Form - turn them in as soon as you can. HW: Finish the vocabulary sheet for "Banks of the Plum Creek" we started in class. Page 64. We went over our Unit 1 "Show What YOU Know" that we took yesterday. Most members of the Room 430 family did a GREAT job on it. The main types of "puzzles" that we are still trying to figure out how to solve have to do with multi-digit subtraction (ex: 430 - 50 = ?) and labeling lines, line segments, and rays. We did a really nice job of remembering concepts like parallel, intersection, and characteristics of a polygon. Study Link 1.9 also went home today. It is a family letter that tells about Unit 2. 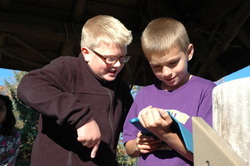 Room 430 looked for evidence of erosion today outside on the Hiawatha playground. Great job today! FOUR members of the 430 family earned golden tickets today for working hard! HW: Write - Write - Write! Today, Room 430 did their first "Marker Talk." We were trying to explore and learn more about Historians, Political Scientists, Geographers, and Economists by answering different questions - BUT we couldn't talk... we could only write our ideas down and respond respectfully to the ideas of others. We did a really nice job with this today! We started reading the story "On the Banks of Plum Creek" by Laura Ingalls Wilder. Our focus this week is to work on improving our skills of identifying the characters, setting, and plot. 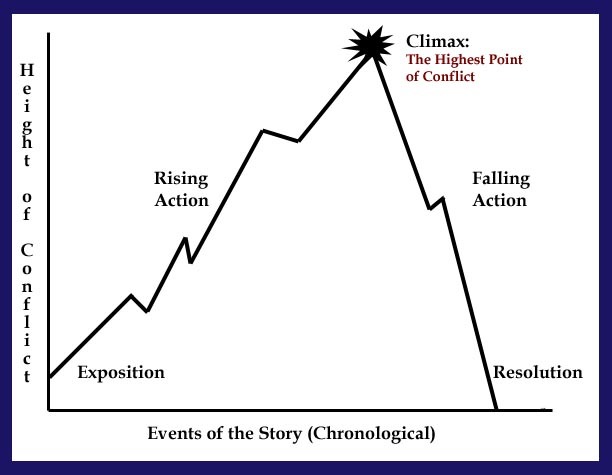 The plot is what happened in the story, setting is where the story takes place, and characters are the people in the story. Vocabulary "Show What YOU Know" on Friday. To review and study these, click on VOCABULARY LISTS. We took our Unit 1 "Show What YOU Know" today! Many members of the Room 430 family have not been using their class time in Writing effectively. If they have not finished their writing rough draft for this week, they need to do that by tomorrow so they can work with a partner and edit it in class tomorrow. It is very important to work hard during the day so that we can always be learning and achieving. HW: Finish your 4th grade flag if it is not done yet..
We began week three of Reading Street. The question of the week is "Why do we want to explore new places?" - how to draw and identify specific quadrangles. - how to tell the difference between parallel and intersect. - how to identify, draw, label, and name a line, line segment, and ray. - how to identify, describe, name the properties of, and draw quadrangles, polygons, parallelograms, squares, rhombus, kite, and trapezoids. - how to draw and explain the geometrical terms of parallel and perpendicular, concave/convex, concentric circles, congruent. We took our Friday Reading Street "Show What YOU Know" today. I noticed we need a bit more practice with identifying Author's' Purpose so you have one sheet to work on this weekend that will help you practice that reading skill. Remember, an author's purpose is the reason an author has for writing. Authors write to persuade, to inform, to express and idea or feeling, or to entertain. Today we talked about the U.S. Flag. Students need to finish designing their rough draft of their design for our 4th grade Hiawatha flag by Tuesday. We finished reading the story "Lewis and Clark and Me - A Dog's Tale" by Laurie Myers. Our Comprehension Skill for the week was looking at Author's' Purpose. Remember, an author's purpose is the reason an author has for writing. Authors write to persuade, to inform, to express and idea or feeling, or to entertain. We continued to read the story "Lewis and Clark and Me - A Dog's Tale" by Laurie Myers. We read the story "Lewis and Clark and Me - A Dog's Tale" by Laurie Myers. We had an interesting conversation about the genre of the story. The book told us that this was Historical Fiction because it is based in reality but the events are not necessarily true. However, since the story is told from a DOG's point of view, we talked about how it also has elements of fantasy. Our Comprehension Skill for the week is looking at Author's' Purpose. Remember, an author's purpose is the reason an author has for writing. Authors write to persuade, to inform, to express and idea or feeling, or to entertain. We began our second week of Reading Street today! The question of the week is.. "What opportunities can be found in new places? We took our "Spelling Word Preview" test today. If you got 17/20 or more right, you earned the challenge list of 10 different words and the spelling words you got wrong. For spelling lists click SPELLING LISTS. We finished up 1.8 and continued to work on our compass skills. We visited Mr. C's favorite place in the whole school - THE LIBRARY! HW: Read your new library book! We made our "Polygon Pair-Up" cards and began playing the game "Polygon Match-Up". 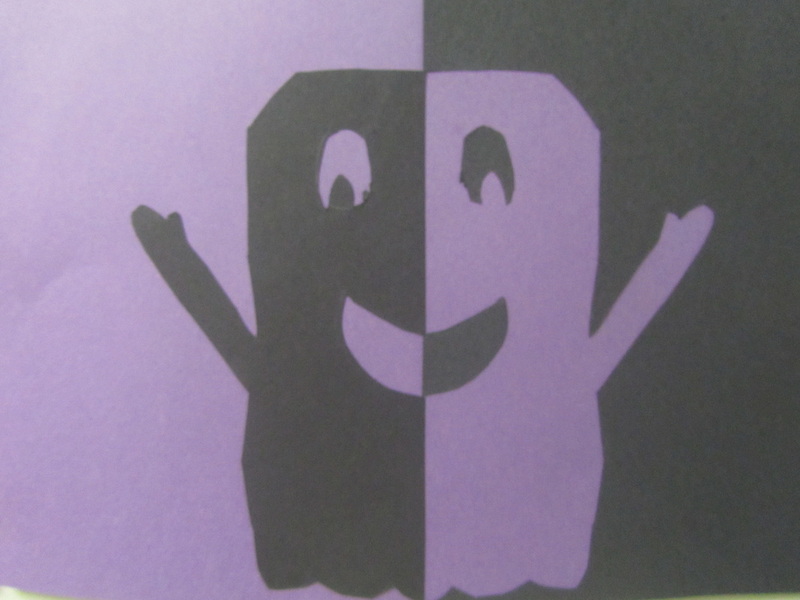 HW: Play the "Polygon Pair-Up" game with someone at home this weekend. We reviewed the skill/strategy focus of sequencing. SPELLING LISTS. The "Show What YOU Know" is TOMORROW on Friday. VOCABULARY LIST. Please study and review these words and be ready for the test on Friday. We started to learn about drawing circles with a compass. We finished reading the selection from "Because of Winn-Dixie" by Kate DiCamillo today. SPELLING LISTS. The "Show What YOU Know" is on Friday. Practice! VOCABULARY LIST. Please study and review these words and be ready for Friday. To Turn In: Picture Forms went home today. We started to read "Because of Winn-Dixie" by Kate DiCamillo today. SPELLING LISTS went home today. Study and prepare for your spelling test on Friday. We reviewed the VOCABULARY LIST for this week. Please study and review these and be ready for the "Show What YOU Know" on Friday. We looked at 1.4 today and continue work with Angles and Quadrangles. We began Reading Street today. There was a lot to fit into this first lesson and we did a great job with it. The story we are going to be reading is a section of the realistic fiction book "Because of Winn-Dixie" by Kate DiCamillo. A "Family Times" (Reading Street's note home) went home today. Students took their "Spelling Word Preview" test today. If they got 17/20 or more right, they earned the challenge list of 10 different words and the spelling words they got wrong. For spelling lists click SPELLING LISTS. Study Link 1.2 was due today! Thanks to everyone for doing their best and turning it in. We were so close to 100% homework turn in. Let's get it the next time around! REMEMBER - study-links are never graded for correctness. You should certainly try your best because it will help you learn, but don't be afraid to make a mistake. Remember - learning is messy and that is why it is so much fun! We looked at Angles, Triangles, and Quadrangles today. We will finish up 1.3 tomorrow so look out for the study-link.